OKLAHOMA CITY—The 108th annual meeting of the Baptist General Convention of Oklahoma (BGCO) is set for Nov. 10-11, 2014, at Oklahoma City, Quail Springs. A Pastors’ Conference and Missions Celebration will precede the Annual Meeting sessions on Nov. 10. “The convention is like a large family reunion,” said BGCO President Nick Garland, pastor of Broken Arrow, First. “Everyone is welcome to attend. While we take care of business, this is truly a spiritually uplifting time of fellowship and worship. Jordan agrees that having churches involved is important. “Taking care of convention business is a very important part of the Convention and requires registered messengers who are elected by the local church to attend the Annual Meeting,” said Jordan. This year’s Annual Meeting is set to be held at Oklahoma City, Quail Springs in November. The Annual Meeting of the Baptist General Convention of Oklahoma consists of messengers from cooperating churches, in accordance with the Convention’s constitutional requirements. Church members interested in becoming messengers should contact their local church office for information on the appropriate process to be elected as a messenger. Each cooperating church has the privilege of sending at least one representative from their church as a messenger to the Annual Meeting. The process is simply for the church, during a business session, to nominate and elect the appropriate number of people to serve as messengers from their church. Upon arrival at the Annual Meeting, the elected messenger must register at one of the two messenger registration desks. During registration, the messenger will be provided a packet of materials and ballots to use during the Annual Meeting business sessions. Only registered messengers have voting privileges. 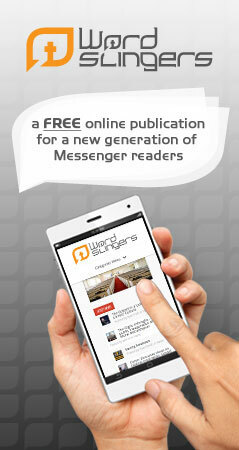 There are two options for registering Messengers: Messenger Cards and Online Pre-registration. Messenger cards will be mailed to each church prior to the Annual Meeting. Messengers using the card system must present the messenger card at the Convention Registration Desk. Messenger cards must be properly filled out and signed by the pastor or church clerk; otherwise, it will be necessary for the messenger to be certified by the Credentials Committee. Once registration is complete, the messenger will receive a messenger packet, which includes the program, name badge, ballots, and additional information. Pre-registration is available for your convenience. Church staff who prefer to pre-register their church’s elected messengers can go to www.bgco.org/annualmeeting. The church’s SBC ID number is necessary in order to pre-register. The SBC ID can be found on the church’s Annual Church Profile (ACP) information, or contact your associational office or the state convention office. At the Annual Meeting, Nov. 10-11, there will be a separate check-in table for all pre-registered messengers. Once check-in is complete, the messenger will receive a messenger packet. In order to streamline the messenger registration process during the Annual Meeting, there will be two separate desks located in the main lobby of the church. Those who pre-register will go to the online pre-registration check-in desk; those who do not pre-register, please go to the Convention Registration Desk. For more information on becoming a messenger or questions related to the new online pre-registration process, please contact the Executive Office at 405/942-3800 ext. 4528.